Ralph Mayer Robey was born on 8 January 1809, son of William and Elizabeth Robey, and was christened on 12 February 1809 at Bethesda Methodist Chapel at Shelton, Stafford, England. He married Mary Ann Leese, in England. After her death, he married Louisa Townsend (d.1889) of Cork, Ireland, at St Lawrence Church in Sydney on 21 October 1842. They had five sons and four daughters. He died on 1 April 1864 at Langton, Staffordshire, England, leaving considerable debts and a large family. One of his daughters, Anne Maria, married his business partner and future NSW Premier George Dibbs in 1857. Ralph Robey, a widower with five children, arrived in Sydney on the Larne on 8 November 1841. By 1843 he had a general fancy warehouse and ironmongery store at 427 George Street selling China earthenware and soft goods. He expanded his business to include importing, exporting and a shipping agency. By 1855, he was the Chairman of the Sydney and Melbourne Steam Packet Company and a shareholder in the Sydney Railway Company. Other positions he held were Director of Sydney Fire Insurance Company and, from 1858, the Australasian Steam Navigation Co. and the Newcastle Coal and Copper Co. From 1847 to 1854, he was the Chairman of Directors of the Australasian Sugar Co. In 1850 he promoted a company to grow sugar at Moreton Bay and in 1855 became an original shareholder and manager of Colonial Sugar Refining Company. In 1857, with the future NSW Premier George Dibbs, he set up a rival company but sold out to CSR in 1859. He invested in land and buildings in the County of Cumberland and had 20 pastoral stations in NSW and Queensland. From 1845 he lived at his Linthorpe Estate at Newtown and is commemorated by both Linthorpe and Robey streets in Newtown. He left for England in 1863 where he died a year later. Ralph Robey was commissioned as a Justice of the Peace in 1855. He was active in the Australasian League for the Abolition of Transportation. He was also a member of St Andrews Parochial Association. He was a member of the Legislative Council from 24 March 1858 to 13 May 1861 and was re-appointed for life on 3 September 1861. Robey was an assessor for Sydney Municipal Council in 1844 and Alderman of the Sydney City Council for Brisbane Ward, 2 November 1846 until 18 November 1847. He was on the Lighting and Finance standing committees. 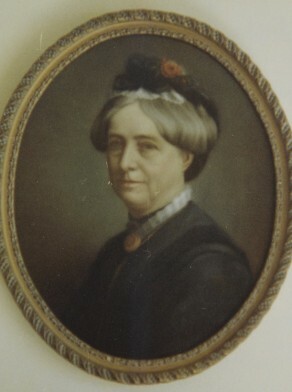 Suzanne Edgar, ‘Robey, Ralph Mayer (1809–1864)’, Australian Dictionary of Biography, National Centre of Biography, Australian National University, http://adb.anu.edu.au/biography/robey-ralph-mayer-4492/text7341, accessed 6 December 2012.